The purpose of this letter is to share the experiences that I’ve had and continue to have with Christopher Percha (owner/operator) of Eco-Tech Pest Management. 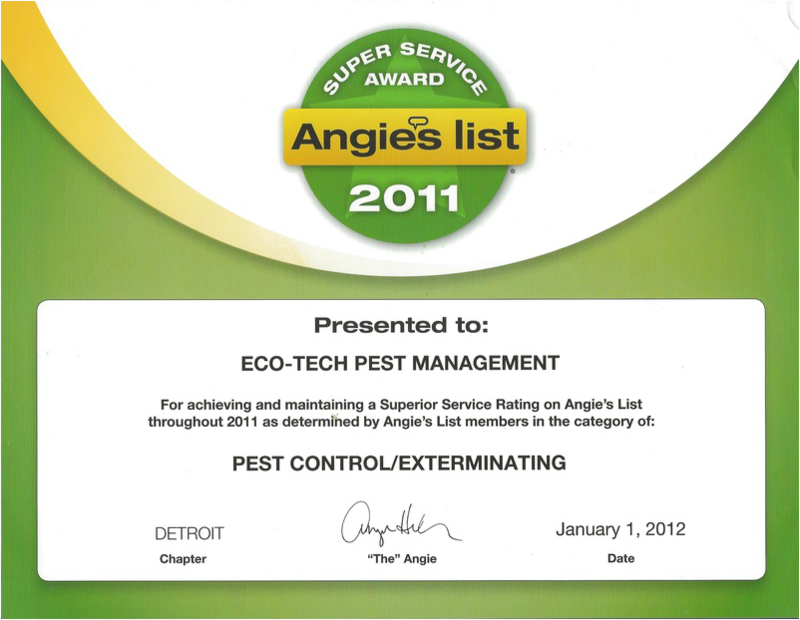 He is polite, reliable, uses environmentally responsible pest control products and is extremely well informed/educated in his field.I maintain a home for an executive in the greater Detroit area. It was brought to my attention by the owner’s that there was a hornet/bee problem infesting the home and surrounding property. The first time I utilized Chris’ services I was so impressed with him that I signed up for the Guardian Program to maintain the home properly and before I had a chance to call him for the second treatment Chris had called me to coordinate calendars. I was very impressed. His rates are extremely reasonable and if a problem arises in between or after the service period, he is right there. He never uses high-pressure sales tactics just good old fashioned professionalism. If there were more businesses and people with the integrity that Chris Percha of Eco-Tech Pest Management posses, the business world and the world in general would be in much better shape, his consistency never waivers. 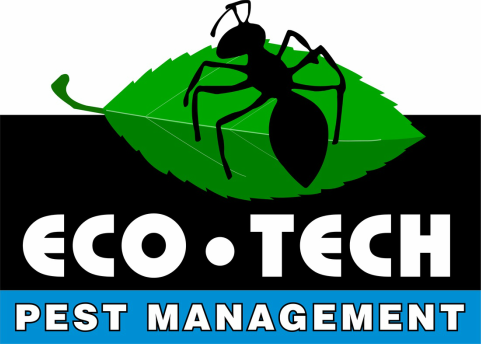 I have been with Eco-Tech Pest Management for over two years and I am happy to offer my most enthusiastic recommendation for their services. My technician, Chris, has demonstrated to me his thorough knowledge about a variety of pests (insects and small rodents) and how to eliminate them quickly and most importantly, safely. Chris is prompt in response to urgent requests and is well organized with routine maintenance appointments. He is always very professional.I recently had a routine wasp preventative treatment appointment scheduled, but, unfortunately, I forgot to close my windows prior to leaving my home. Chris did not risk my family’s health by spraying my home as scheduled. The chemical treatment he uses for wasps is not intended to be sprayed indoors and my open windows presented a potential risk. Chris left me a voice message explaining his concern and requested that we reschedule our service appointment. ​I very much appreciated his thoughtfulness and professionalism. He even returned the very next day!Chris is the kind of person who clearly takes pride in his work, has an outstanding work ethic, and simply provides an excellent service! I am writing this letter as a recommendation for Eco-Tech Pest Management. I was sitting home alone one weekend and heard a loud scraping noise up in our attic, followed by what sounded like a heard of animals running around. In a panic, with my husband out of town, I went to the internet to find help. Thankfully I called Chris from Eco-Tech! He responded to my call immediately and to my surprise was able to come out to the house THAT DAY (not in a week like most places). Chris arrived and placed several traps around he outside of our home and gave a thorough explanation of the details involved in catching the pests. Two days later we had captured all of the red squirrels and Chris repaired their points of entry. A few weeks later we discovered ants in our bedroom. We have lived in our home for 4 years and have never had any pest problems, so we were stunned to have another issue on our hands. I, of course called Chris who came out immediately. He safely (we have a dog and I am pregnant) treated our home inside and out for carpenter ants. He also returned a month later for a second application. We have not seen the ants again. 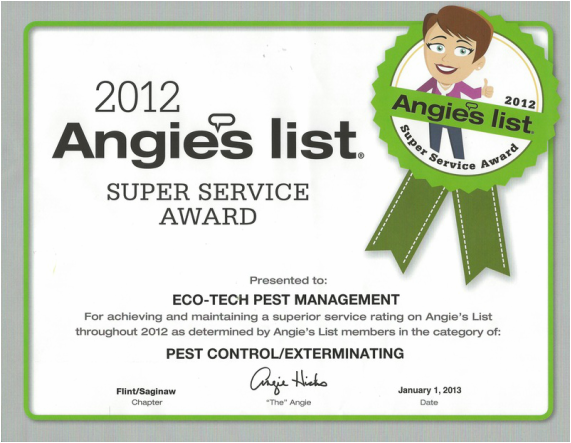 We received superb, professional and timely service and I would recommend Eco-Tech Pest Management to anyone who is in need of environmentally responsible pest control.